Sorrento is this happening block of restaurants and bar in Lacson Street that caught our attention from the get-go. For one, this seems to be the place to be happy and wild–kidding. There was no visible parking area, but when we asked the security guard where we could park, he pointed to the sidewalk. Yes, we parked on the road. Well, it’s actually the loading/unloading area. Oh well, the building guard gave us permission. Before we went to Bacolod, I was already scouring the web for good restaurants to try. 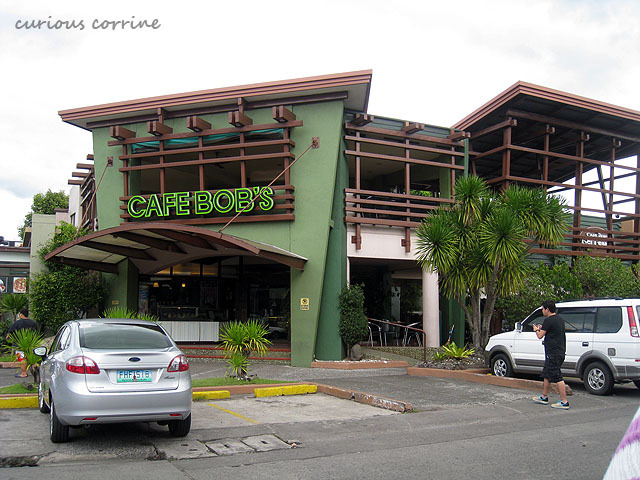 One of the restaurants that caught my attention was Cafe Bob’s. 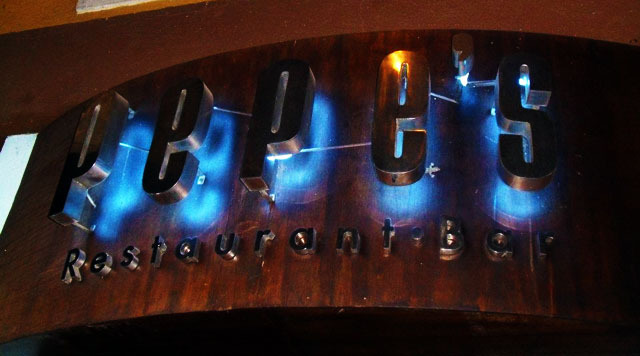 Although I made a mental note of this restaurant before we left Manila, I completely forgot about this until I actually caught a glimpse of their nameplate. Even funnier is that we ended up eating here only because the restaurant we really wanted to try (across the street) was filled to the brim. Together with the boyfriend and his two sisters, we arrived in Bacolod at 6AM. Running on a cup of coffee and two sticks of cigarette, you can say we were practically ready to eat each other alive. Haha. So from PAGCOR, we went to Lacson Street to look for a restaurant. 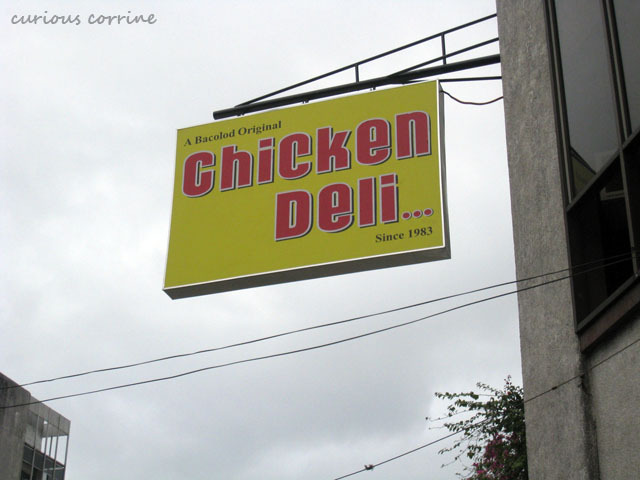 The boyfriend’s sister has been to Bacolod a number of times already so she suggested we make Chicken Deli our first restaurant stop. I’ve been eyeing this little bakery corner in GT Tower ever since I started having lunch in the building. 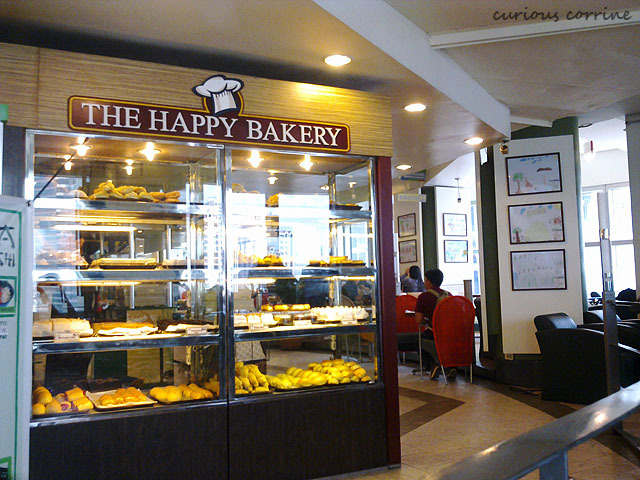 But being the ever-so-weight-conscious me, I shied away from the tempting cakes and cupcakes lining up the glass display. That didn’t stop me, however, from hanging out near their area and snoop around I would usually hang out around the area, ask the staff if they bake everyday–gotta be sure if they’re fresh. And they do bake them everyday.